If you have braces, then the fight against plaque and tooth decay is real. The most important tools you have for fending off plaque or tooth decay threatening your smile is your basic oral hygiene habits with brushing and flossing. Here at Orthodontic Specialists of Lake County in Grayslake, Antioch and Gurnee, Illinois, we care about your teeth, which is why we have provided these tips for you. In order to keep your teeth clean with braces, it is essential to remember your oral health hygiene routine of brushing for twice a day and flossing regularly. When it comes to brushing your teeth while you are wearing braces, there are special types of toothbrushes that work well with braces. It is important to choose one with soft bristles and can fit the shape and size of your mouth. Choosing a fluoride toothpaste that fights against cavities is also helpful to fighting cavities from your teeth. Flossing your teeth is an important step when it comes to keeping your teeth and braces healthy and clean. Food particles and debris can easily get stuck in your teeth between your braces and plaque will grow in places your toothbrush can’t reach. That is why it is vital to take the time to floss your teeth. Bacteria can also stay in your mouth, so using a mouthwash that clears away bacteria and fights cavities can help keep your braces and smile clean. 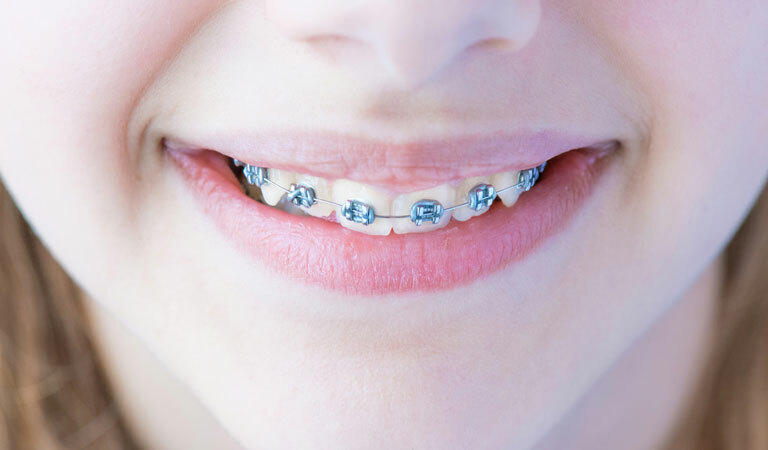 If you have any questions about your braces or would like to learn more about our orthodontist, Dr. Sellke & Reily please call us today at 847-223-2876 to set up an appointment. Our caring and professional team is dedicated to giving you the high-quality care you deserve.